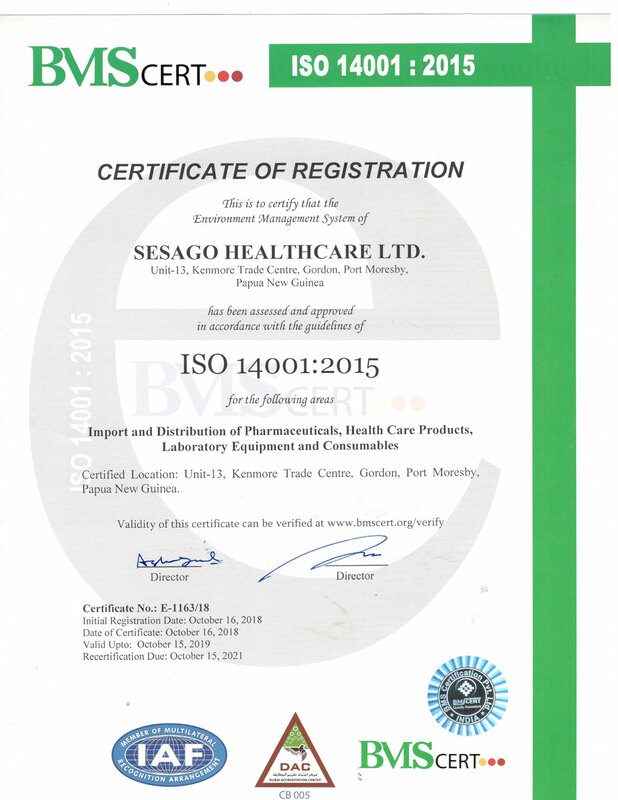 Sesago Group of Companies was established in 2009, with a view to bringing superior standard, best quality, timely and affordable healthcare products and services to Papua New Guinea. We currently operate from a prime location, situated within the business suburb of Gordon, at the heart of Port Moresby. As a state-of-the-art fully computerized business house; we not only carry a huge range of the stock on the ground to ensure on time delivery; but also ensure our distribution network covers our customers and partners all over the country. Our team of professionals have one single aim and goal, and that is to provide the best quality products at competitive rates, with unmatched service standards and after sales services. We constantly update our technology with new and innovative business models to make the most of emerging opportunities. WE ARE PART OF YOUR LIFE! 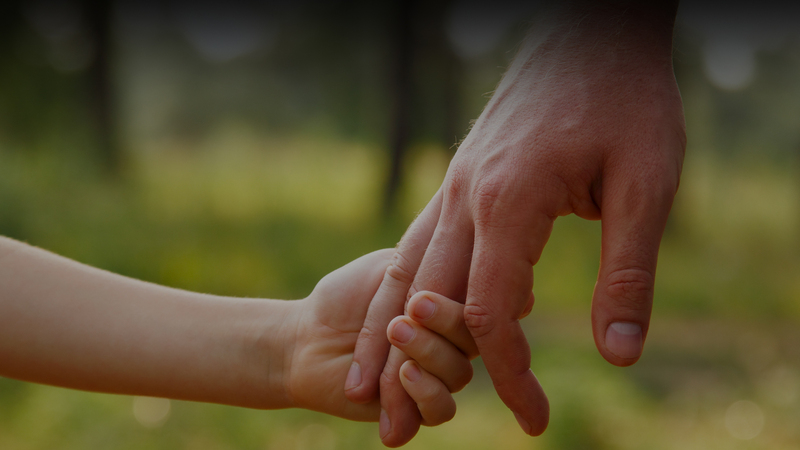 Our business philosophy is to ensure the perfect balance between business success and social responsibilities. To this end, our unwavering agenda is to provide every single customer with access to healthcare which is a primary and basic human right, because we CARE. Quality is the prime driving factor behind our brand. 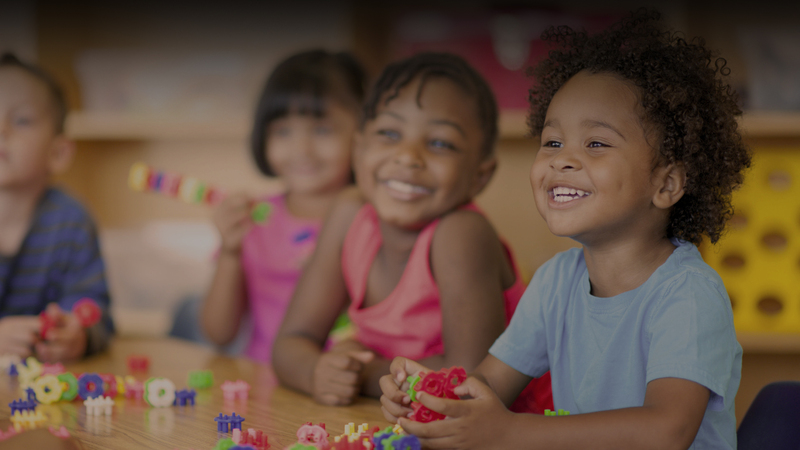 Every single product and every single activity by Sesago is due to our commitment to QUALITY. 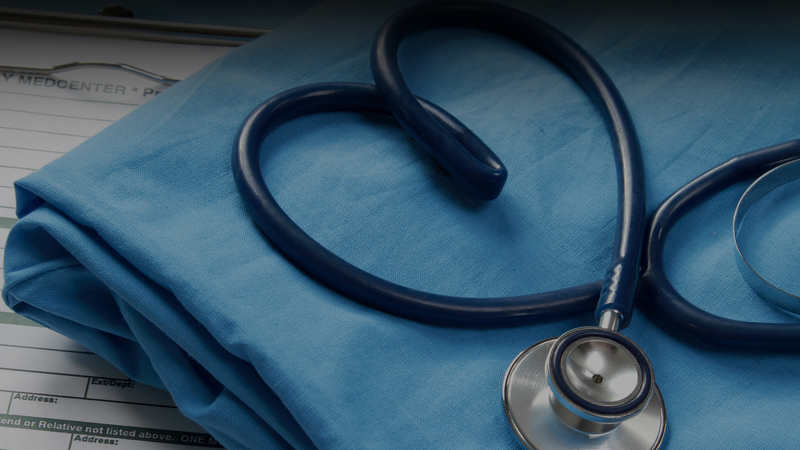 Be it generic medicines or specialized products, we understand that trust is vital. 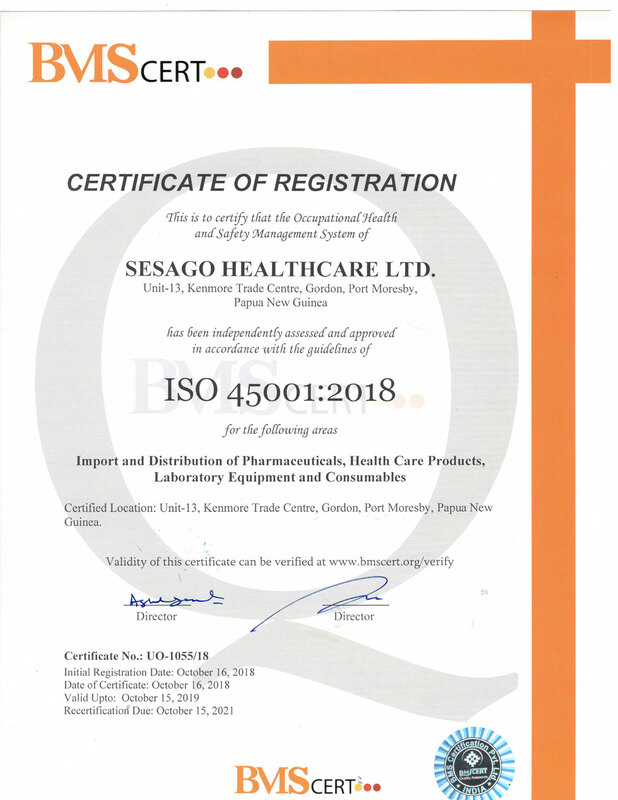 Our vision is to pay homage to that ultimate attribute; and our goal is to make Sesago – the brand that you can TRUST; be it for life saving medicines or any of our other products. All products distributed by us, are manufactured at world class facilities having ISO, FDA and GMP-CGMP/WHO-GMP. Many of our products are manufactured at facilities approved by USFDA/MHRA/EU sites. The organization operates on a fully computerized business platform and believes in proving opportunities to citizens, as well as attracting international talent to augment the company’s success rate. State-of-the-art warehousing facilities with back power, fleet and strong support from a team of professionals at all the levels has made us one of the forerunners in the market. 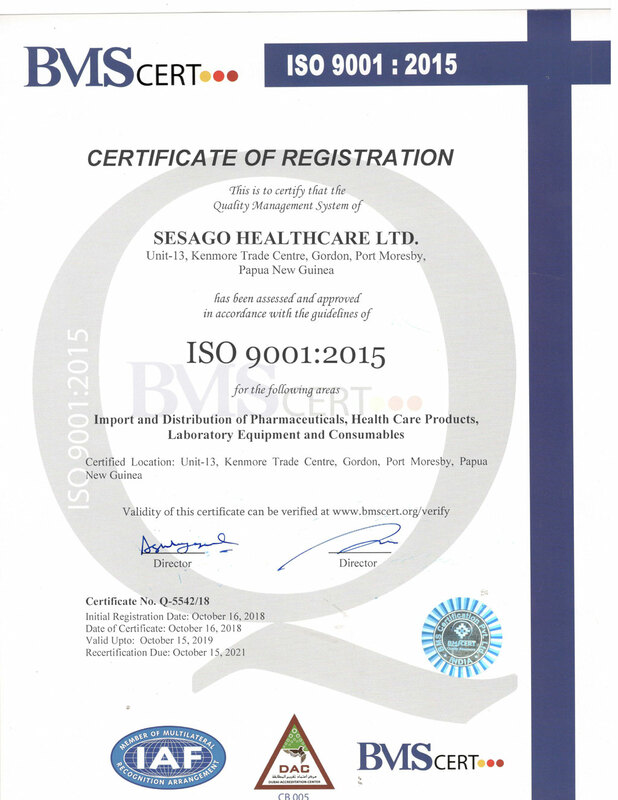 SESAGO HealthCare Ltd. is the healthcare division of the Sesago Group. Our commitment to providing health care products and services is defined not just through quality at very competitive prices; but also by our aim to integrate ourselves into being part of your lives. Our major area of focus is in the comprehensive and complete range of healthcare products such as Pharmaceuticals, full range of Laboratory supplies in Histopathology-Microbiology-Hematology etc., including machines and consumables. We also specialize in Chemicals (Bulk/Fine/Agro/Water Treatment). SESAGO Ltd. is the direct consumer product division of the Sesago Group. Our product range includes a vast range of FMCGs such as Food, Oils, Personal hygiene and Beauty products. Products pertaining to all divisions and categories are manufactured or procured from the best and reliable sources across the globe. According to their characteristics, products are manufactured and stored in separate, dedicated blocks with dedicated input and output flow of both personnel and materials to avoid any issues pertaining to handling. With our internationally accepted quality control norms in place, all our products and services follow strict guidelines on the basis of country specific requirements and meet global standards. Sesago Infrastructure & Engineering (SIEL) Ltd. is the infrastructure and civil/electrical engineering division of the SESAGO Group. Having identified next generation Infrastructures as the emerging key growth area in PNG, we have now entered this segment, with a mission to bring the most advanced technologies and expertise from all over the world, and use those skills towards the development of infrastructural and engineering projects in the country. DYNEK SUTUREs Best Sutures in world. Authorised and preferred resellers Chemsupply Australia. All your body stats at one place.